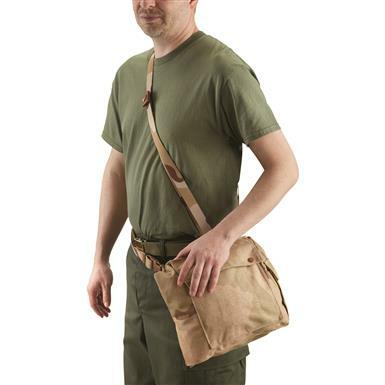 Shoulder strap with waist belt, adjustable to 52"
Carry essentials and accessories conveniently at your side with this Dutch Military Surplus Shoulder Bag. Originally designed to tote a gas mask, this Bag is made of heavy-duty, waterproof nylon and features a waist belt that helps secure it to your side. Dimensions: 14.5" x 10.5" x 3.25"